This Ford VCM II Toughbook Tablet Dealer Kit comes fully licensed ready to go out of the box for you. This is the same dealer kit found in all the Ford Dealerships across the country. This VCM II Dealer Kit will give you full access to any Ford make/model Truck, Car Gas Diesel in the market place today 1996 - Current Year. 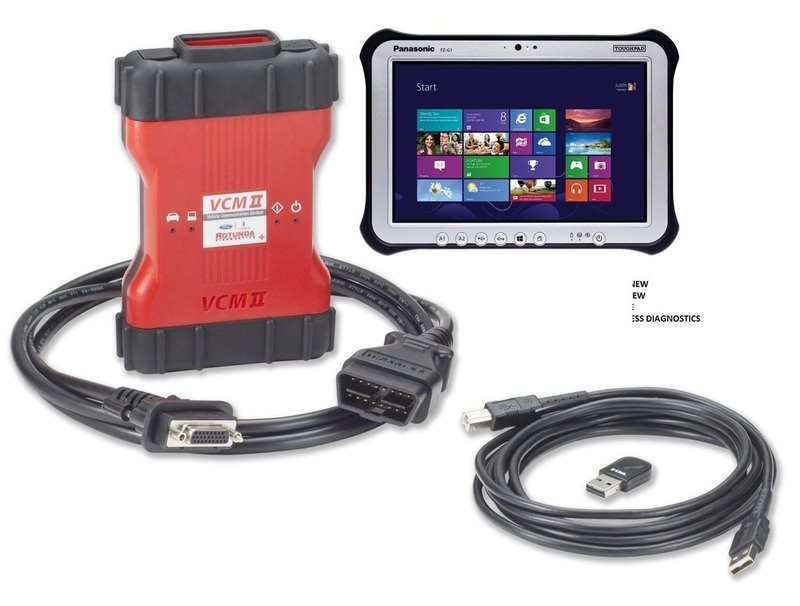 ORDER YOUR FORD VCM 2 TOUGHBOOK TABLET DEALER KIT TODAY. AS ALWAYS FAST FED EX/UPS EXPEDITED SHIPPING.